The forgiveness, layers of insecurities, doubt, fear, bad attitude, & a self-righteous confidence peeled away like an onion. New friendships made and even some old ones restored. Sufficient grace, undeserved love, support from family and friends, a seed planted for missions. Weights being lifted, a renewed confidence building, new life chapters scripted. Bam! Another pothole hit. My thoughts continued. If my life were perfect, I would never long to meet my Maker. Not to say that we are not to care for, make right our wrongs, or count the blessings of the things we have. But rather to know there is something Greater than what we could ever fathom or imagine beyond this Earth and blessing to count up until then. What about you? You may be going through a valley at this very moment and finding the blessings in it may be unbelievable, incomprehensible. But if anything, it gives you something to think about other than your current circumstance(s). You might be even angry with me for putting the thought in your mind. That's ok. You can't hurt my feelings when I speak of truth, I myself, have walked and lived out the hurt only to see the other side. I still have much to learn. I am a work in progress, a beautiful mess. 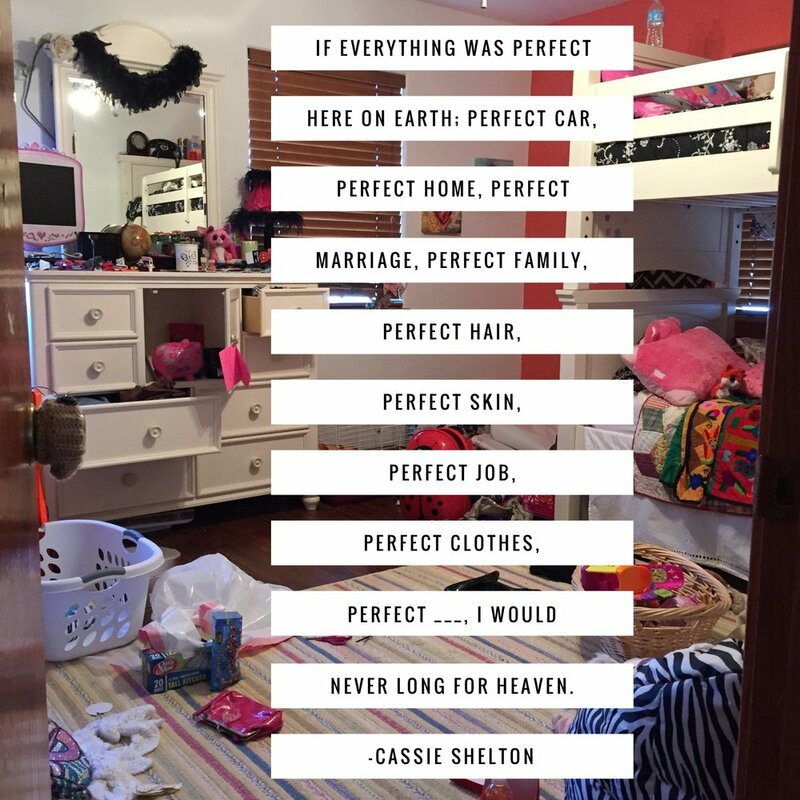 Life is not perfect. Only ONE walked a perfect life.